Boracay – The steady economic growth in the last few years has enabled many people around the world to travel. However, the increase in tourism has gradually disrupted culture and heritage for many of the ethnic groups in the Philippines. The island of Boracay in central Philippines is home to the Ati people, whose ancestors were believed to have arrived through a land bridge from Borneo thousands of years ago and were thus the first inhabitants of the country. Most of the Ati can be found in Aklan, Capiz, Antique, Iloilo, and Negros. 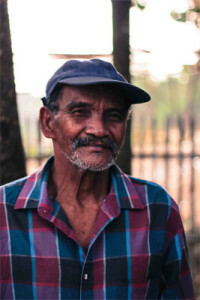 They are part of the Negrito group and are genetically related to other Negritos, such as the Mamanwa of Mindanao, Ayta of Luzon, and the Batak of Palawan. Over the years, the population of the Atis has been slowly declining due to constant intermarriage with lowlanders. They have adopted a semisedentary lifestyle after forest resources dwindled because of the clearing of almost all the forests. Furthermore, the arrival of lowland settlers influenced their way of survival. Consequently, only a few members survive who are knowledgeable of their traditional language. The Ati have had to adapt to survive in their current environment. Nowadays, most of the tribe living in Panay Island had adopted Kinaray-a, a language spoken in Antique and some parts of Iloilo. Some Atis are fluent in Cebuano or other Visayan languages. The large annual influx of visitors to the island of Boracay has forced many members of the tribe away from their home. Many natives have been stripped of their ancestral lands by the major land developers in the area because of the high demand for land for residential and commercial purposes. Although tourism alone has generated millions of pesos in income, the Ati tribe in Boracay face an uncertain future. Aside from planting a variety of crops like rice, banana, and root crops, most of the Atis engage in handicraft production, such as rattan weaving, as an alternative source of income. The Atis also take advantage of other livelihood opportunities that tourism has brought to the island. Sadly, many of the less fortunate Atis wander around and end up begging for money and food on the beaches. Meanwhile, the Atis that reside in Guimaras Island located in the Western Visayas region had vastly intermarried with other tribes, which resulted in differences between the older Atis and the younger generations in terms of their typical physical appearances. The younger Atis tend to have lighter skin and straighter hair than their elders. Many of them continue to live a nomadic lifestyle and subsist through fishing, hunting in the jungle, or gathering herbs that can be used as medicines. The tribe had also kept some of their traditional beliefs and practices despite their exposure to modern society. One particular custom that Atis observe is wearing a bracelet for protection against disease and as a defense against harmful entities. This bracelet is produced from stones and minerals. Generally, a newborn infant wears a bracelet to repel evil spirits. Another unique ritual still practiced is called tuos, which aims to ask permission from the spirits. It is also believed to cure individuals who are sick. Meanwhile, Atis from Panay Island relocated to Loay in Bohol in search of better opportunities. The tribe sees a better future here in terms of livelihood, as there is a high demand in cultural tourism. Many of the tribe work as performers or entertainers and showcase their traditions for various tourists. Compensation earned through their interaction with travelers have supported most of the Atis’ necessities.